On April 20th, Governor Andrew M. Cuomo announced an ambitious acceleration of energy efficiency in New York, including a comprehensive plan to achieve a new target for significant greenhouse gas emission reductions, decrease consumer energy costs and create job opportunities. Meeting the new energy efficiency target will deliver nearly one third of the greenhouse gas emissions reductions needed to meet New York’s climate goal of 40 percent reduction by 2030. This announcement is part of the Governor’s State of the State proposal to develop a milestone Earth Day energy efficiency target and comprehensive strategy. In the April announcement, the Governor said that energy efficiency is the most cost-effective way for New Yorkers to lower utility bills, curb harmful emissions and battle climate change. And as the federal government abdicates its responsibility to safeguard our environment, New Yorkers must continue bold action to reduce emissions and protect all New Yorkers, today and in the future, from the devastating effects of climate change. This entry was posted in Clean Energy Communities, News and tagged clean energy communities, nyserda on May 15, 2018 by cstrong. Governor Andrew M. Cuomo launched the third round of the transformative Downtown Revitalization Initiative (DRI), investing $100 million into 10 additional downtown neighborhoods across the state. Participating communities are nominated by the state’s ten Regional Economic Development Councils (REDCs) based on the downtown’s potential for transformation, and each community is awarded $10 million to develop a downtown strategic investment plan and implement key catalytic projects that advance the community’s vision for revitalization. More information about the Downtown Revitalization Initiative may be found at www.ny.gov/dri. Local governments in New York State can use the Clean Energy Communities program to implement clean energy actions, save energy costs, create jobs, and improve the environment. The solar panels at 5 Spoke Creamery on Pulaski Highway in Goshen. This was the first Property Assessed Clean Energy (PACE) financed energy project in New York State. Photo provided by Energize NY. Orange County, in the Mid-Hudson region, was recently designated a Clean Energy Community by the New York State Energy Research and Development Authority (NYSERDA). Work on this initiative was led by the County Planning Department with key support from County Executive Neuhaus, the County Legislature and Department of Public Works. – Benchmarking. Adopting a Legislative Policy and Initiating Benchmarking of energy use of County buildings. – Climate Smart Communities Certification. Earning Climate Smart Communities (CSC) Certification through actions reducing the community’s impact on the environment. Orange County was the first County in New York to earn CSC certification. 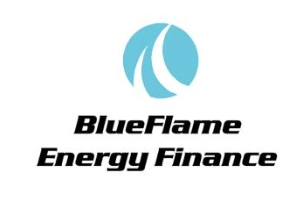 – Energize NY Finance. Establishing an Energize NY Finance Program that enables long-term, affordable Property Assessed Clean Energy (PACE) financing for energy efficiency and renewable energy projects at commercial buildings and not-for-profits. – Solarize. Undertaking two community-based Solarize campaigns (in Warwick- Goshen and Countywide) to reduce solar installation project costs through joint purchasing. After NYSERDA approves a community’s four actions, the community can submit a grant application online for additional clean energy project funding. Orange County received a Block 3 award. They plan on using the funding to support the work of the Mid-Hudson Sustainability Coalition. The Mohawk Valley Economic Development District (MVEDD) and Courtney Strong, Inc. co-hosted the LED Street Lights workshop on April 11, 2018. The event was a big success for the region. There were 39 municipal officials in attendance. It was the largest attendance MVEDD has ever had in its 52-year history! Undertaking a LED street light conversion can help communities reduce street light energy use by as much as 65 percent, generating cost savings and emission reductions. In addition, street light projects can contribute to creating a well-lit, safer, and more attractive community. LED street lights last up to 100,000 hours and require much less maintenance than conventional ones. The opportunity to incorporate smart, connected technology such as dimming functions, enhanced law enforcement response, and parking management offers a world of possibilities. Even those communities that do not own their streetlights have options for converting those in their jurisdiction to LED. Converting street lights to energy efficient LED technology is one of the 10 High Impact Actions to help your community earn a Clean Energy Community designation. Casey Mastro, Energy Manager- CNY for the New York Power Authority, speaks to attendees about NYPA’s street lighting program. If you are interested in learning more about LED street light conversions, take a look at the slides below and contact your local Clean Energy Community Coordinator. They provide free technical assistance and consulting services to local governments participating in the Clean Energy Communities program. As many municipalities are becoming aware, conversion to LED street lights offers savings of up to 65 percent. As such, it is one of the 10 High Impact Actions in the NYSERDA Clean Energy Communities program. In December, the Mid-Hudson Street Light Consortium and the town of Red Hook (Dutchess County) issued a Request for Proposals for installation and (optional) maintenance of LED street lights. Eighteen additional municipalities joined as Participants. The town expects to announce the selected bidder within the next 60 days. The selected firm(s) will enter into separate contracts with participating municipalities. The RFP was developed by the consortium particularly for municipalities with fewer than 400 street lights. As a cost-saving measure, it does not include procurement. Rather, the consortium is assisting communities with LED procurement through the State bid system and other group buying opportunities. presented at the New York State Association of Towns meeting in Manhattan February 19. They described the deep cost and energy savings of LED street lights (typically 65%). Red Hook, a regional leader in clean energy projects, is leading an 18-municipality aggregation that is seeking to convert to LEDs through the Mid-Hudson Street Light Consortium. The consortium also drafted a second RFP for communities interested in “turnkey” procurement, installation, and optional maintenance services. The city of Kingston (Ulster County) is expected to be the lead municipality for the turnkey offering, and other communities statewide will be able to join. The city plans to issue the RFP this Spring. The RFP activity is taking place concurrently with efforts by communities such as Red Hook and Kingston to purchase their street lights from their utility companies. In 2008, the New York State Comptroller issued a report that recommended municipal purchase of street lights as an opportunity for substantial cost savings. All New York State utilities also offer an option for municipalities to convert to utility LED lights. While local governments must continue to pay “rent” for their street lights in the form of monthly fixture charges, these charges tend to be lower than the rates for existing lights and communities would see long-term cost savings, especially when combined with energy savings. If a municipality chooses the utility LED conversion option, the Public Service Commission requires that local governments pay the remaining undepreciated value of the lights being replaced. Most utilities allow on-bill financing of this upfront cost. Funded by NYSERDA’s Cleaner Greener Communities Program, the Mid-Hudson Street Light Consortium began operations in June, 2016 and expects to be active through fourth quarter 2018. Member organizations are Courtney Strong Inc. (lead), Citizens for Local Power, Abundant Efficiency LLC, and LightSmart Consulting LLC. This entry was posted in Clean Energy Communities, LED Streetlights, News and tagged mid hudson street light consortium, nyserda on March 9, 2018 by cstrong. The town of Keene has embarked on an ambitious plan to undertake a host of high impact energy actions, capably led by an all-volunteer team. Acting on a recommendation from Supervisor Joseph P. Wilson, Jr., the town board passed a resolution establishing the Keene Clean Energy Group as a volunteer advisory and working committee dedicated to assisting the town in achieving clean energy goals. Carolyn Peterson, a former mayor of Ithaca, and Dan Mason, a retired oil industry executive and a founder of the North Country Clean Energy Conference, are joined by Jim Bernard, Amy Nelson, Monique Weston, Jackie Bowen, Bunny Goodwin, and Josh Whitney. “Everyone has a project they’re excited to be working on,” said Supervisor Wilson. – Benchmarking: adopt a policy to report the energy use of buildings. – Unified Solar Permit: streamline the approvals process for solar. – Solarize: undertake a local solarize campaign to increase the number of solar rooftops. – Energy Code Enforcement Training: train compliance officers in energy code best practices. The town hopes to receive a $50,000 Clean Energy Communities award. Possible projects include solar PV for three of their four municipal buildings; interior LED light lights; and energy audits, especially at the town water plant. Mason estimates he PV project alone is an opportunity to save $3,000 a year. Post-award, the group plans to work on LED street light conversion, EV charging stations, a town electric bus, and more. The group also plans to move forward with an effort to bring Keene into the Climate Smart Communities program and is already achieving single-sort recycling, a program requirement. “The Clean Energy Communities award for a community our size is very significant,” said Peterson. About 11 percent of Keene’s approximately 450 year-round homes and businesses have solar installations, indicating a relatively high level of community engagement with sustainability issues. To inform its policy direction and activities, the group has met with Mothers Out Front, a chapter of the national organization that raises awareness about climate change. This entry was posted in Clean Energy Communities, News and tagged clean energy communities, nyserda, town of keene on March 9, 2018 by cstrong. The NYSERDA Clean Energy Communities High Impact Actions are a framework to help communities throughout New York State develop and prioritize their clean energy goals. The town of Queensbury formed a Clean Energy Committee in the summer of 2017 with the goal of completing a minimum of four of the high impact actions. In just six short months, the town has exceeded its goals. The Clean Energy Committee is led by Kathy Bozony, an environmental consultant for the town, and John Strough, the town Supervisor. Together with town board member Catherine Atherden, town staff, and other local stakeholders, the group is on its way to complete seven of the 10 High Impact Actions. The hard work the committee invested to implement High Impact Actions exemplifies why Queensbury is considered a local leader in the clean energy arena. Committee members decided to work the High Impact Actions concurrently in an effort to complete four in time to meet NYSERDA’s deadline for the CEC $50,000 grant while also improving the community’s overall energy consumption. It’s a win-win situation for everyone and it’s paid off. – Unified Solar Permit. The town adopted a standardized permit application designed to streamline the approval process for installing solar in the community. – Energy Code Enforcement Training. Code enforcement officers attended an energy code best practices training on solar panel systems. – Clean Fleets. The town installed two EV charging stations at the municipal water plant with plans to deploy alternative fuel vehicles in the near future. – Solarize. The Committee moved forward with implementing a local solarize campaign to increase the number of solar rooftops in the town and is inviting other Warren County communities to join in the effort. – Clean Energy Upgrades. The town is working on reducing its greenhouse gas emissions by 10 percent. Solar panels already installed on municipal buildings have brought them very close to reaching this goal. Additionally, interior and exterior lights were recently replaced with LEDs in the town office and Activities Center Complex. – LED Street Lights. The Committee is exploring converting the town’s street lights to energy-efficient LED technology. The town of Queensbury has shown strong leadership in the clean energy arena and has been highly focused on the cost savings and environmental benefits of taking such actions. The implementation of their Clean Energy Committee allowed for public involvement in the NYSERDA Clean Energy Communities process and demonstrates their commitment to clean energy. This entry was posted in Clean Energy Communities, News and tagged clean energy communities, nyserda, town of queensbury on March 9, 2018 by cstrong. Electric vehicles (EVs) reduce greenhouse gas emissions and pollutants that cause smog and acid rain. Compared to gasoline powered cars, EVs are significantly more energy efficient and cost approximately 50 to 70% less to operate per mile. access EVs charging stations. In communities large and small, urban and rural, charging stations are being installed at a wide variety of locations across New York State. This entry was posted in Clean Energy Communities, News on January 16, 2018 by cstrong.